TYPAR Geosynthetics creates performance based replacements for building staples like stone, sand and asphalt. Our products are lighter and easier to install than their mineral counterparts, reducing materials required, waste created and the need for heavy construction equipment. With product and research facilities in Nashville, Tennessee, we’ve built upon 40 years of experience to extend our range of materials to provide protection, reinforcement, drainage, filtration and separation options to design and construction professionals. 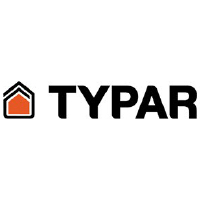 From permeable driveway surfaces, tree root-friendly barriers that protect underground structures or a reinforcement wall system that holds back flood waters, TYPAR Geosynthetics can meet application requirements and extend the life of projects.